Throughout all of the projects you will encounter this year, none will be as boisterous as “Black Cadillac Season 3”. It's musicality alone, curated by Brooklyn emcee, Gibrilville, is astoundingly cinematic; characterized by massive jazz progressions, strong, soulful choirs, and fragments of neighboring genres. Rock can be heard within the bowels of buzzing, electric guitars that wisp in and out of the album; alongside the impression of Afro-beat, through his Gibrilville’s Ghanian heritage, and ostensible quakes of Hip-Hop. In shouldering so many styles, “Black Cadillac Season 3” becomes impossible to pin down. Outside of thunderous boom-bap and trap drums, the ultimate element that gives this fourteen track opus a definite Hip-Hop quality is Gibrilville’s powerful raps. With solely the ink in his pen, and breath in his lungs to anoint the microphone, the East Coast emcee moves mountains on this long-player. He is both introspective and observant with his lyricism: confronting personal tribulations whilst acknowledging the turmoil festering around him. It is through these verses that the spirit of Tupac Shakur (who inspired him to create this project, along with The Notorious B.I.G.) reflects most vibrantly unto him. 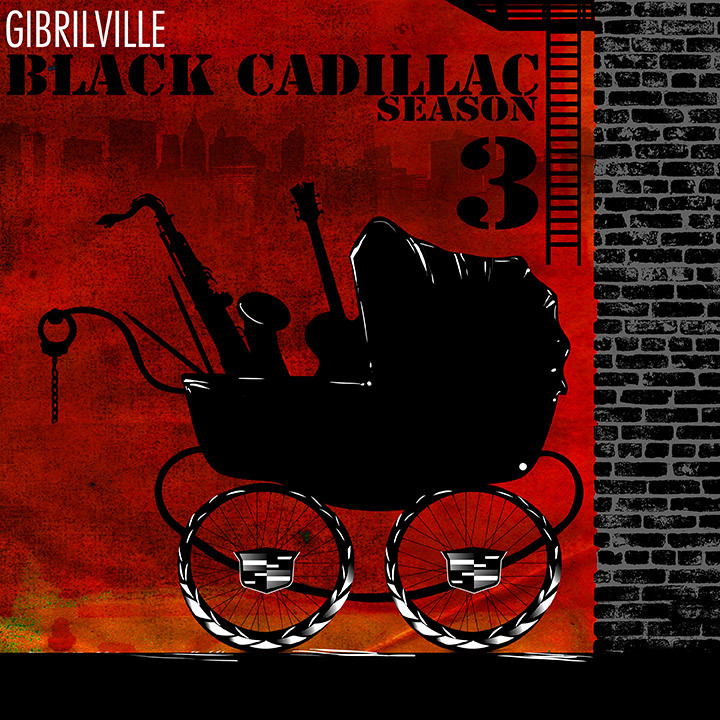 On “Black Cadillac Season 3”, Gibrilville becomes a vessel for the art and purpose of Hip-Hop, both new and old. He cherishes it, all the while bending it to his artistic whim, and the result is a project that’ll keep you coming back for the rest of the year. GET FAMILIAR WITH GIBRILVILLE'S SOUND AND MOVEMENT! Hip-Hop artist Gibrilville is out to make a name for himself in the music industry and his work is standing out. After dropping off his record "Trial & Error" featuring fellow artist Nathaniel a few weeks ago, Gibrilville is back with this video for his record "Open Up". Gibrilville takes us through his streets in this one and deliveries witty bars with this record.